To understand the term bending moment we have to understand what is a moment of force. The basic definition of force that we have learned is that force is push and pull. 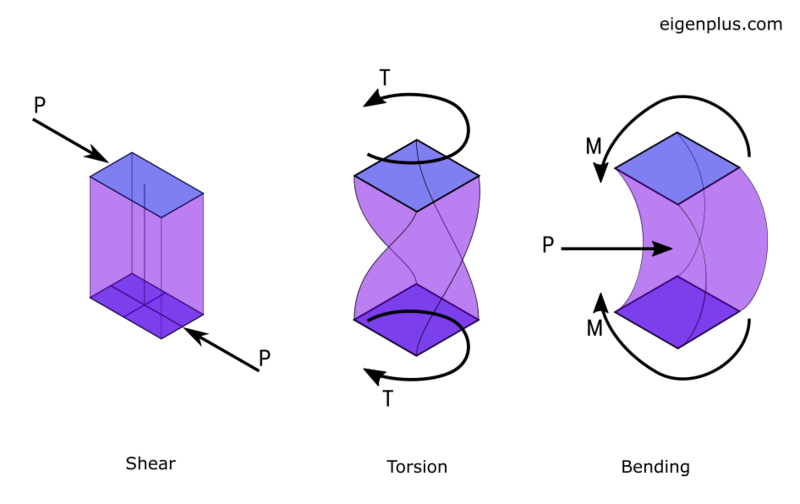 Force, when applied to an object, tends to change its motion or its shape. In structural engineering, we have well-defined cross sections and the members have a longitudinal axis and a lateral axis. A force applied in the longitudinal axis of the member would tend to elongate (Tensile Force) or compress (Compressive Force) the member. A force applied in the lateral axis would try to slice off the member (Shear force) or would try to bend the member (Bending Moment). How and why is bending moment different from the other three? The amount of elongation, compression or shearing is directly dependent on the magnitude of the force applied. More is the force more is it effect. But same is not the case with rotation. The same amount of force if applied at a greater distance would produce greater rotation. In the above figure with the same magnitude of force(F) the rotation would be more in the second case since the lever arm is more and thus the moment is more. Thus it’s not the magnitude of the force but also the distance at which it is applied that tells us about its effect. So we multiplied the two quantities and gave it a name as the moment of force. The turning effect of a force is known as the moment. Moment of force is the product of force and the distance of the force from the point of interest. 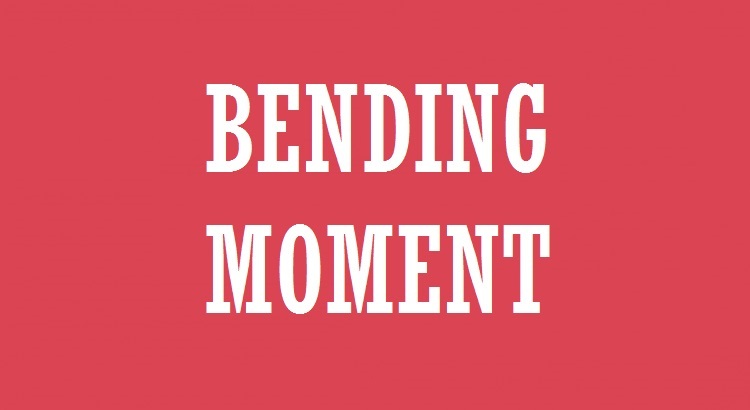 If this moment of force tries to twist the member then we call it twisting moment or torsional moment and if this moment of force tries to bend the member then we call it bending moment. When a body is strained it tries to resist that by generating internal stresses. Stress is the resistance offered by a body to the external force. 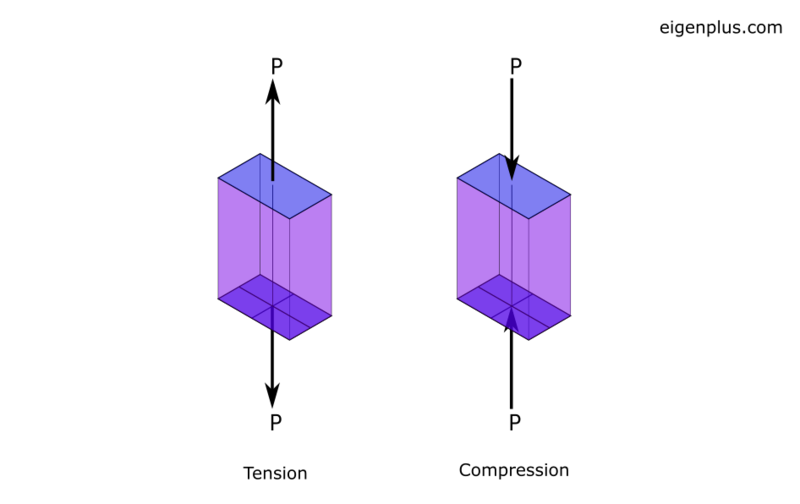 When a beam bends the concave face of the beam is under compression and the convex face is under tension. These compressive and tensile strains produce compressive and tensile stresses (resistance) in the beam respectively. The couple formed by these resistive forces is termed as moment of resistance. If we consider the compressive and tensile stress in the beam to be equal to the tensile and compressive strength of the material then the couple formed by them is termed as ultimate moment of resistance or the Ultimate Bending Moment since the beam cannot take bending moment more than that. It is just a matter of connecting the dots. You can find all the concepts written in the article in any book on structural analysis. The underlying concept for the whole field of structural analysis and design is same. Strain leads to the development of Stress. Stress developed should be less than the strength of the material. Anyhow, I will be listing all the books that I use in the “Books” section of the website. You can check out the same. Great article indeed.Can you please also explain that how bending moment is related to rotation ? Thanks for the appreciative comment. Would soon write an article explaining the same.